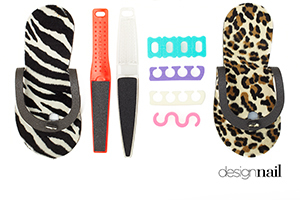 The Design Nail product line covers the entire spectrum of abrasive implements and accessories required for professional manicure and pedicure treatments and services. Our customers include the largest distributors, mail order catalogs and beauty supply stores serving the professional industry. In addition, our products are distributed internationally with sales to over 50 countries. 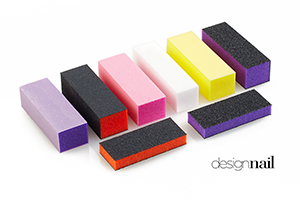 Our standard product lines feature professional manicure and pedicure nail care supplies, including foam cushion files, emery boards, manicure files, pedicure files, foam pedicure slippers, toe separators, shiner blocks, and nail buffers. The Design Nail Gold Series represents the highest quality nail care instruments available. 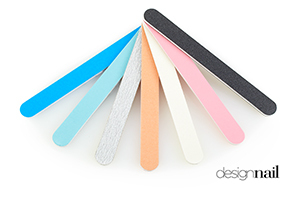 Incorporating input from manicure and pedicure professionals along with 30 years of nail file manufacturing experience, the Gold Series represents unsurpassed quality and performance which means outstanding results for your customers. Millions of professionals trust our Gold Series daily to provide reliable, repeatable, and high quality results. 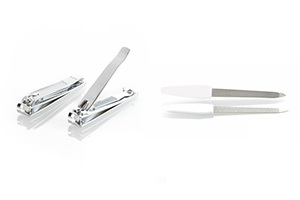 For professional manicurists and pedicurists looking for more economical nail care instruments without sacrificing quality, our Silver Series is the ideal solution. Made to Design Nail’s exacting standards, the Silver Series outperforms many higher priced professional nail care instruments on the market. Try our Silver Series files and you will not be disappointed!